EDITOR’S NOTE: The Pound has appreciated by 8% against the Euro over the last 12 months, making Spanish property correspondingly cheaper for cash-buyers with Pounds. Foreign currency exchange specialist Luke Trevail looks at the factors driving exchange rates, and what the near future might hold. The eurozone has been grabbing all of the wrong headlines over the Summer and as Winter sets in the economic news is certain to send a chill running down the spines of the European Central Bank. Exchange rates have followed suit with the Euro remaining weaker than what we’ve seen over the last few years. The nails for the euro coffin are being used fairly rapidly, with further news today from the European Commission forecasting that growth in the region for 2014 will be at only 0.8%, below the 1.2% estimate from earlier this year. It also cut its forecast for 2015 to 1.1% from 1.7%. The report has made a worrying prediction, stating that inflation will continue to be low and employment high in Europe. Based on other central banks’ stand point on an increase in interest rates being based on higher inflation and lower unemployment it seems that the single currency could be in for rough ride in the short-term with an end to record low interest rates being so far in the distance we’ll all have aged by a good year or more before we see any change for the better. Exchange rates for those of you buying the euro are now likely to continue to improve, as the weaker euro has been a long time in coming and could be here to stay. I’ve warned for a few months now that those people holding out hope of the markets moving more in your favour to sell the euros are perhaps being a little over ambitious. I still admire your optimism but it may now be time to leap out of the sinking ship while you still can. Your feet are already wet, but it could and probably will get worse. Luke Trevail is a foreign-currency broker working for TorFX, a forex broker established in 2004 to provide foreign exchange and international payments to both individuals and companies. 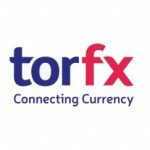 TorFX is authorised by the Financial Conduct Authority under the Payment Service Regulations 2009 for the provision of payment services. Their FCA number is 517320. To verify their authorisation, you can visit the Financial Services Register and search the register using their FCA number.